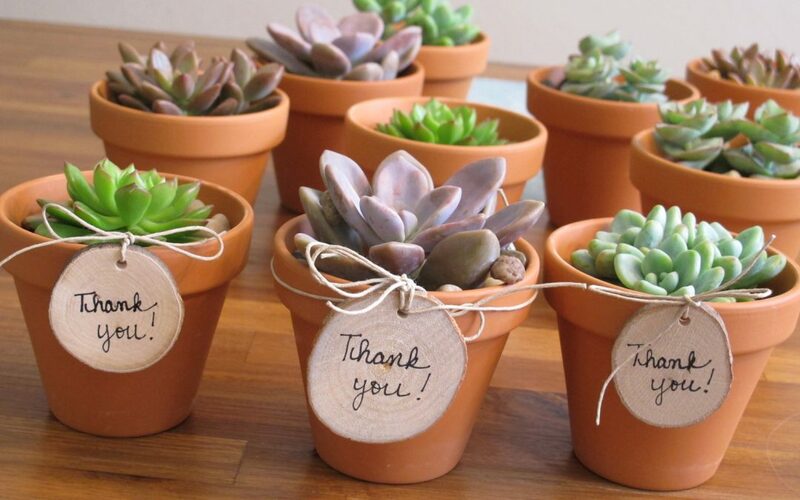 There’s an increasing trend for guests at a party to bring home a little treat at the end, and succulents are the perfect choice. They’re easy to take care of, can tuck into any home or garden, and bring fun, style and personality to your event. 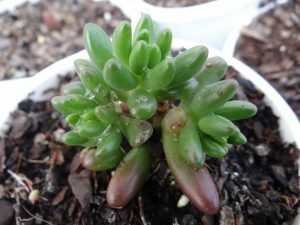 Simply plant into a mini pot or container of your choice and arrange on a table. Your guests will remember your special event for years to come. 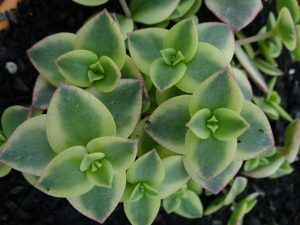 The idea of having a delicate specked succulent for either a wedding or baby shower is just heavenly! An appropriate name that envisions beautiful images of lacey bridal gowns, vintage veils, and white crocheted baby blankets. We’d love to see this planted up in teacups or antique biscuits tins. 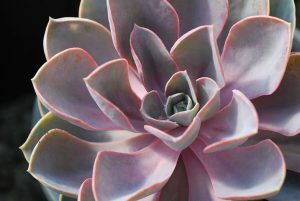 We love the oodles of heart-shaped leaves in shades of pink, green, creamy yellow, and even rose-lilac. This plant is a bit of fun and another wonderful choice for weddings. Nothing says “love” like hearts, and it’s sure to be a really great reminder of the time that you all shared. 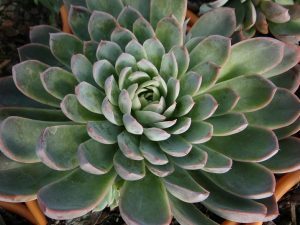 A beautiful rosette succulent with elegant pale grey-brown leaves and pink shimmery highlights. This would be a really simple choice that’ll stand out and really wow your guests. Sleek and sophisticated with just the right amount of sparkle. Violet Queen is royally radiant with it’s magnificent “lotus blossom” shape. 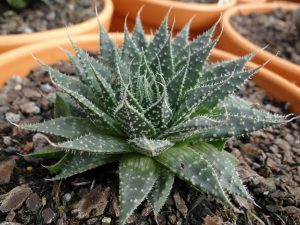 It’s a great choice if you want something a bit pretty, but keeping those clean lines that we love with succulents. Plant it up in a simple pot for a beautiful silhouette. A bit of fun for birthdays, baby showers or a casual occasion. Clusters of beans in a range of bright colours including green, red, pink, blue and everything between. These jelly beans are sure to delight everyone and bring a smile.